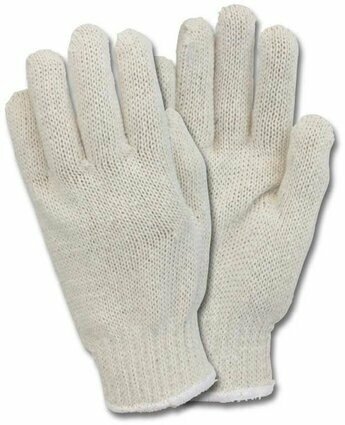 Medium Weight String Knit Gloves. Cotton/Poly blend for warmth and durability. Keep hands comfortable while working! Seamless string knit gloves provide warmth and reduce abrasion. Popular as a glove liner beneath waterproof gloves and work gloves.